Pouches are of various kinds and so are the laminations. Pouch manufacturing industries have different lamination machines for different kinds of pouches. The lamination film thickness of a pouch depends on various factors like its flexibility and frequency at which a particular pouch type is used. So, lamination should be done considering the purpose for which a particular type of pouch will be used to ensure its durability. Budget – Thin lamination costs less while you have to pay considerably more for a thick lamination. Flexibility – Lamination should not be thick if you want your pouches to be flexible. Though, it should be that much strong that all the stored contents remain well protected from moisture and dust. Sturdiness – Go for a thicker lamination for your pouches if you want them to be super sturdy. This kind of lamination provides a rigid yet strong support for the pouches. Usage – The usability of the pouch is the greatest determining factor for its lamination thickness as the pouches that are used more often require a thick lamination film to ensure their durability. Pouch Material – Some pouch materials like paper and aluminium are super delicate to handle and thus need a laminating film thick enough to provide them good support. Paraspack is the stop for you if you are looking to buy or order flexible laminated pouches. Our laminating thickness ranges from 30 to 200 microns but we can cross this deadline on our customer’s demand. 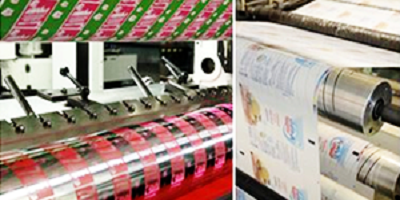 Our laminating consists of a composite structure of Nylon/Poly/Foil/PET/BOPP/Paper and various other laminates. We handle aluminium and paper pouches with extreme care and manufacture crease free perfectly printed/unprinted laminated pouches. Call Paraspack on 9810187055 or mail at info@paraspack.com to consult us regarding our pouch manufacturing services.